The education we now call “classical” is our heritage as human beings. With roots reaching back to the greatest teachers and philosophers of all time, a classical education forms the student’s mind, character, and tastes by inclining him toward truth, goodness, and beauty. We trace classical education to the ancient Greeks, who prized wisdom and excellence. With the writings and teachings of the ancient Greeks, the ancient Romans educated men to become statesmen and orators. In the Middle Ages. scholars and theologians, who had preserved Greek and Roman classical writings along with the sacred writings from Holy Scripture, transformed this body of learning into what we now call classical Christian education. During the sixteenth and seventeenth centuries, the benefits of this education were extended to peasants and paupers. Classical teachers today respect and uphold the great pedagogical tradition that formed Western civilization because, far more than distinct cognitive stages or scheduled learning cycles, a classical education embodies the humbling realization that true education forms the soul of the individual himself. From ancient times, classical of formative education sought to cultivate both a student’s mind and character. Only somewhat recently in human history has this aim begun to change. With psychologizing views of the progressive education movement and the economic desires fueled by the Industrial Revolution, education was transformed into a more pragmatic social endeavor. A child who graduates with a utilitarian education may find a job; however, he may also find himself unable to contemplate great literature, ideas, music, art, nature, or morality. He may know little about philosophy or theology, or even himself. He may be poorly equipped for the deeper matters of his life, such as noble service to others, perseverance through trials, an appreciation of beauty and truth, or sacrificial love. When we disregard the historically formative nature of education, we fail to nurture the broad thinking skills that enable an understanding of the world and the student’s place in it. A formative education is for the formation of the student himself. Its verbs are intransitive; they have no direct objects.2 While a classical education teaches countless skills in language and mathematical arts, the overarching desire is for students to discern, to thrive, to serve, to know, to live. In classical education, the cultivation of the human being is sufficient in itself.3 A classical education demands perseverance from both teacher and student, but the formative effects are deep and lasting. We can reclaim the education of our heritage as human beings. Today’s highly teachable resources equip and educate even those of us who did not receive a classical education ourselves. Let us give our students an effective, elevating, formative education. Our efforts will impact every child we teach, and this impact will reach far beyond our own age. For a thorough explanation of the intransitive nature of a liberal arts education and the transitive nature of instrumental education, see Sister Miriam Joseph, The Trivium, (Philadelphia: Paul Dry Books, 2002). 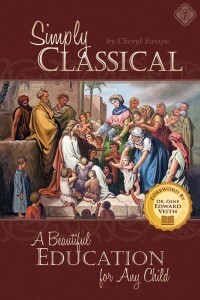 For a more complete treatment of progressive vs. classical, instrumental vs. formative, see Simply Classical: A Beautiful Education for Any Child (Memoria Press, 2013). Originally published in The Classical Teacher Summer 2016 edition.